(December 15, 2002) Victor Herbert, MD, JD died at his home in New York City on November 19. He was 75. According to his family, the cause of death was melanocytoma, "a rare form of neurological cancer." A medical doctor, attorney, and author, Herbert was widely known in alternative medicine circles as one of the most prominent and vociferous critics of the field of alternative medicine, its practitioners, and its proponents. According to the second paragraph of a letter from his family dated December 4 and posted at victorherbert.com, "one of the country's most distinguished educators, advocates, and leading 'Quackbusters,' Victor was always an outspoken critic of food frauds, dietary cures, nutrition nonsense and other questionable medical practices." The prominence accorded to that posthumous description of his quackbusting activities in a career that, according to Herbert and his family, had many other highlights suggests how important these specific activities were to Herbert. Victor Herbert was born in 1927 and was named for his father's cousin, the famous opera composer. By the time he was thirteen, according to various published obituaries, both of his parents had died and during his teenage years he lived in a succession of foster homes. Herbert went on to be educated at Columbia University, where he received a BS in chemistry (1948), an MD (1952) and a JD (1974). He was associated as a teacher and researcher with a number of medical schools, including Einstein, Mount Sinai, Harvard, Columbia, SUNY-Brooklyn (formerly SUNY-Downstate), and Hahnemann. In professional circles, Herbert is remembered for determining in 1961-62 while doing research at Harvard that a lack of folic acid can result in anemia. He experimented on himself - depriving his body of folic acid, becoming severely anemic and physically impaired in the process - to confirm his hypothesis. When he added folic acid back to his diet, he recovered. According to victorherbert.com, Herbert served in the military and will be buried at Arlington National Cemetery on December 18. The author of - by his own count - over 800 scientific articles, Herbert wrote or co-wrote a number of books, as well, including, with Stephen Barrett, MD, Vitamins and 'Health' Foods: The Great American Hustle (Aperture, 1981) and The Vitamin Pushers: How the 'Health Food' Industry Is Selling America a Bill of Goods (Prometheus Books, 1994). He often appeared in the media, mainly to criticize "questionable medical practices" and frequently was a witness at trials where alternative medicine clinicians were the defendants. 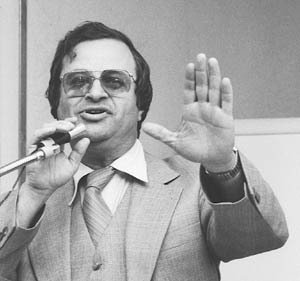 Herbert devised a variety of media savvy strategies to promote his point of view. For example, he gained a lot of attention for criticizing questionable nutritional diplomas. To the delight of the media and the medical Establishment, he repeatedly described how in the early 1980s he obtained impressive looking credentials as nutrition experts for his dog Sassafras and his cat Charlie by return mail after paying small fees in each of their names (Sassafras Herbert and Charlie Herbert) to the American Association of Nutritional and Dietary Consultants and the International Academy of Nutritional Consultants. To say that Herbert was an unstinting and harsh critic of alt med is an understatement. He may have been the original "quackbuster" and he remained active in quackbusting activities right up until his death. With his legal training and take-no-prisoners attitude, he was a particularly combative adversary. Stories about his encounters with and criticisms of alt med proponents are legion. 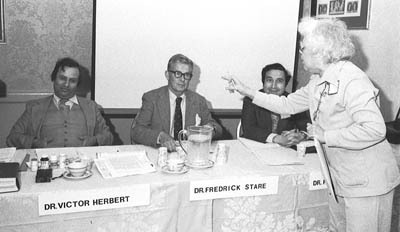 On one memorable occasion, April 24, 1980, Herbert appeared at a midtown New York City press conference with Fred Stare, MD of Harvard's School of Public Health, Richard S. Rivlin, MD of Memorial Sloan-Kettering Cancer Center, and Elizabeth Whelan, DSc, executive director of the American Council of Science and Health (ACSH). The ACSH had called the press conference to criticize vitamin B-15 (pangamic acid) as a hoax. Herbert said, "Believing is seeing - that's what we have with B-15. It doesn't exist. There's no such substance. It is purely imaginary." When the floor was opened to questions from the 40 or so journalists in attendance, a kind of barely controlled mayhem ensued. Fran Lee, the consumer reporter for WABC-TV in New York who was sitting in the front row, asked the panel, "Why did you choose B-15 to take on? Could you not have done saccharin or sugar or all of the other things Dr. Stare has defended all these years?" Herbert replied, "I find your question quite strange." Rising to her feet and pointing at Herbert, Lee said: "I'm a watchdog for the public." Herbert: "No you're not. I'm a watchdog for the public. You make a good living at your job." Lee: "Not half as much as Dr. Stare makes." Herbert: "That's neither fair nor honest." Lee: "I've just caught you with your pants down, that's all." Rivlin added a moment of levity to the proceedings when he interjected, "This is an instance of watchdog eating watchdog." Ernst Krebs, Sr., MD and Ernst Krebs, Jr., who developed both vitamin B-15 and Laetrile (which the father and son team called vitamin B-17), were referred to during the press conference as "snake oil salesmen" by Herbert. He offered during the conference to show journalists a copy of Krebs, Jr.'s "criminal record." When science writer Robert Houston attempted to question Herbert about Russian studies of B-15 that reportedly showed that it had value, Herbert attacked the translation of the studies, which were published by the McNaughton Foundation. "McNaughton is a twice-convicted criminal," Herbert charged. Houston, however, insisted that the McNaughton Foundation translation "compared favorably" with the original Russian reports, at which point Herbert repeatedly shouted, "You're lying, sir; there's no such translation. "Who are you, sir, and who are you fronting for?," Herbert kept demanding of Houston, in what appeared to be an attempt to shift the focus from the question to the questioner. The press conference finally ended with Herbert exchanging shouts with several other questioners. It was a strange, almost surreal, event. That same evening, however, it was sobering to hear the accusations about B-15 duly reported by the national news media (including the wire services and at least one TV network) without either another point of view or the chaotic nature of the press conference being mentioned. 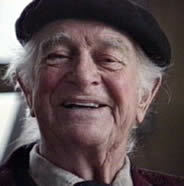 In an interview with Linus Pauling, PhD at his home in Big Sur, California on February 18, 1989, five and a half years before his death, I recorded the following comments by the two-time Nobel Prize winner and proponent of vitamin C about his longtime critic. "I perhaps owe something in a sense to Victor Herbert. I probably never would have written the several books that I've written about nutrition and health and disease if it had not been for Victor Herbert. I was asked in 1969 - perhaps it was a little earlier even than that - 1969, I think, to come to New York City to give a speech at the opening ceremonies of a new medical school, Mount Sinai Medical School. And I thought I ought to say something medical. I had only ten minutes to speak. So I thought I'll talk about vitamin C and the common cold. And I said, for three years now my wife and I have been taking large doses of vitamin C. Dr. Irwin Stone was the biochemist who suggested that we do it. And there's no doubt in my mind - I've been looking at the literature, too - no doubt that vitamin C can provide a lot of protection against the common cold. "Victor Herbert had encouraged me to look through the literature for these double-blind trials. And here he refused to pay any attention. But I also found that in the medical textbooks, the trials were misrepresented. When a trial got a positive result, the textbooks said that it got a negative result. So I thought this is a pretty serious matter. People suffer from colds. Almost everybody - 90 percent of people - get colds several times a year. If they suffered as much as I suffered, it was quite a lot of suffering. Moreover, the story about vitamin C is a very interesting story. I've learned a lot more about vitamin C than I knew when I began. I'd met Dr. [Albert] Szent-Gyorgyi [the discoverer of vitamin C] in 1937 when he came to visit us in Pasadena. And I knew something about other people - I'd met other people who'd worked on vitamin C.
"I got so steamed up one day, here, in this room, that I sat down and began writing a book about vitamin C and the common cold. I sat down the first of August and finished it the thirty-first of August in 1970. I sent it off to the publisher and it came out the 17th of November in the same year. Most publishers that I've had experience with don't work so fast but this book was available already before the end of 1970. "And then I started being attacked by the medical Establishment, the medical journals." It could be added, as they say, that the rest is history.